Best Evidence Technology the premier UK reseller of Amped FIVE systems. We can provide informed product demos, trials, and training. 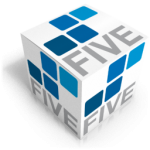 Call us on 01312 722721 today to chat about FIVE’s strengths. Five reasons why we love FIVE ! Firstly FIVE is fast ! It’s not just for the really important, mega-enhancement jobs. Many 3rd party CCTV formats will open directly within FIVE, and all of the simple features that we use on most jobs are convenient and fast. Trim, Crop, Zoom, Resize, Correct aspect ratio and Contrast Enhancement are all so quick that FIVE can save lots of time on level 1 crimes. The best audit trail in the business…. FIVE records every action and provides a report that has non technical descriptions of work done and in depth parameter descriptions and references published scientific papers for the more complex functions. If you’re chasing 17025 accreditation, FIVE is the way forward. FIVE excels with mobile phones. Many crimes these days come with smartphone evidence, with advanced stabilisation filters FIVE makes sense of wobbly phone videos, and motion deblurring filters fix those photos taken in a hurry. Amped Software provide regular software updates, incorporating new features and adding to the increasing number of CCTV formats it can use. There have been 14 updates in the last 12 months. A fully functional free trial – Which allows you to import your own footage and retry all the demo images yourself. This is best supplied with a 10 minute phone call from us to show you around.